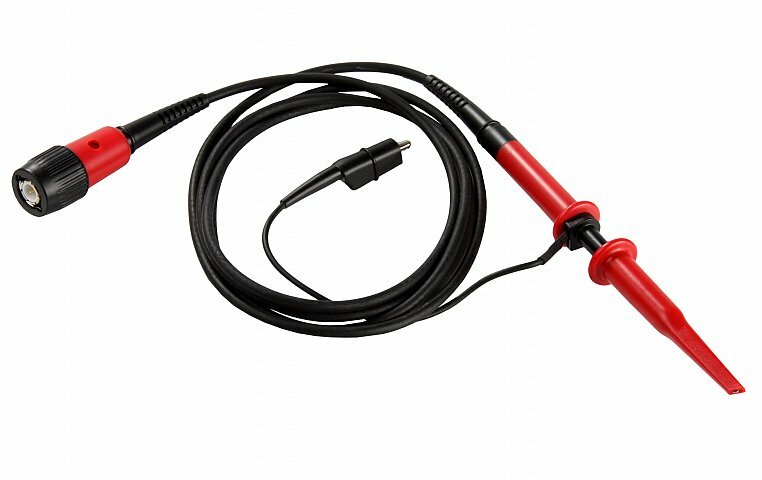 The CS1002 Analog probe is a 100x 250 MHz oscilloscope probe. Safety Meets IEC1010-1 Cat II. Accessories that are included with probe are:Channel Identifier Clip, Sprung Hook, Ground lead, Insulating Tip, Adjusting Tool, Measuring Tip, Sprung Earth Tip.